The German-American Club had its beginning in early 1971 when four determined couples, spearheaded by Morris & Minnie Nessinbaum, proposed an organizational meeting. The idea spread quickly through the community. The names of those couples are: Morris & Minnie Nessinbaum, John & Honney Lullman, Karl & Elizabeth Hoffman and John & Dora Knigge. On May 19, 1971, the first meeting was held, and over one hundred interested persons attended. Temporary Chairman John Lullman, assisted by Morris Nessinbaum, Karl Keil, and Carl Hoffman called the meeting to order at 1:30pm, and the the German-American Club of Beverly Hills was formed. The purpose of the Club was, and still is, to encourage all residents of German ancestry and those who are interested in German culture and tradition to band together and promote those ideals that are an integral integral part of our American society. The first Board of Directors consisted of Karl Hoffman, President: Carl Keil , The First VP, Minnie Nessinbaum Second VP, Dora Knigge Secretary; Erma Karl Treasurer; and four Trustees. The membership of the club grew rapidly By 1974 there were 383 paid-up members and a waiting period was required because of facility shortage. On October 21, 1972, the Club held its first Oktoberfest at Lakeside Park in Beverly Hills. Again Morris & Minnie Nessinbaum were the driving force behind that affair. Our last charter member, Thelma Knoche passed away at the good old age of 96 years on May 22, 2016. 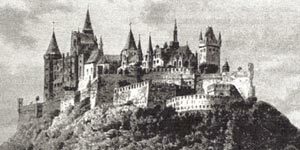 The elected presidents in order were: 1, Karl Hoffman; 2, Willy Warnecke; 3, Carl Keil; 4, John Klein; 5, Raymond Faust; 6, Ernst Bowien; 7, Louis Fendt; 8, Gerda Hanson; 9, Bill Hopkinson; 10, Karl Hanson; 11, Martin Grum; 12, Albert Hayes; 13, Martin Grum; 14, Grace Snyder-Donahoo; 15, Horst Templin; 16, Horst Spangenberg; 17, Grace Snyder-Donahoo; 18, and current, Michael Reis. 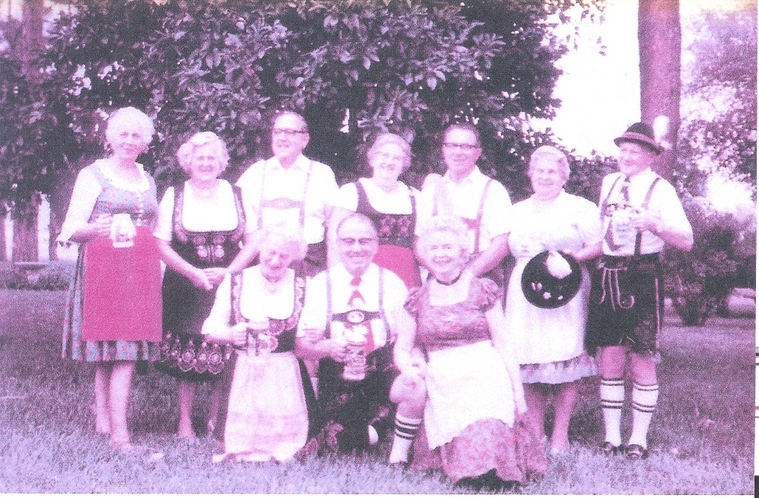 Several changes to the By-Laws and Articles of Incorporation were made during the years, and now the Club is known as the German-American Social Club of West Central Florida, Inc. At present our club has about 120 members in good standing. Meetings are held on the second Monday of each month (except June, July, August) at the Knights of Columbus Hall, 2389 West Norvell Bryant Hwy (CR 486) in Lecanto, FL 34461. Our Club is a not-for-profit corporation. The general nature of this corporation is social activity among its members, uniting in the bonds of friendship, good fellowship, mutual understanding and good citizenship. The objective is to promote and perpetuate those German customs, traditions and ideals that are an integral part of American society. We have a variety of entertainment after each membership meeting: dances, video shows, bingo, horse races, wine and cheese, weisswurst and pretzels, etc. Our activites include: a Spring Dance in March, our annual Anniversary Dinner Dance in May, our huge Oktoberfest celebration in September and our festive Christmas Dinner Dance in December. Back Row Left: Lucy Lector, Anna Keil, Mr. Baliko, Frieda Tausz, Karl Keil, Minnie Tessinbaum, Morris Tessinbaum . Front Row: Anna Blanko, Man ?, Lydia Blank.